2-bedroom penthouse apartment is located in a new residential development. 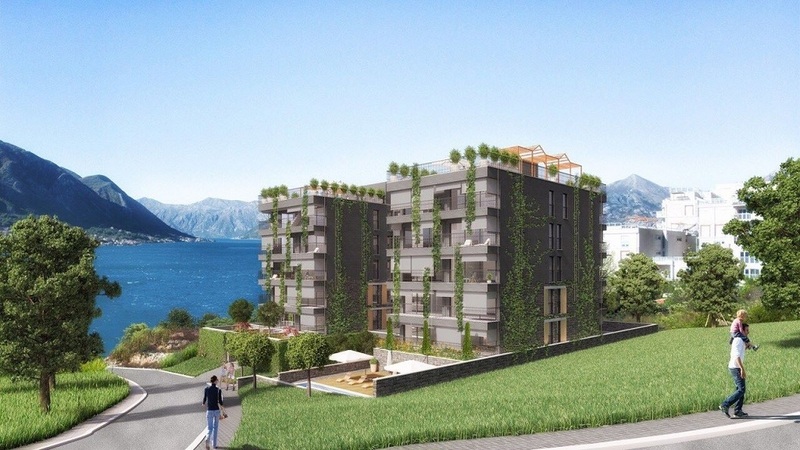 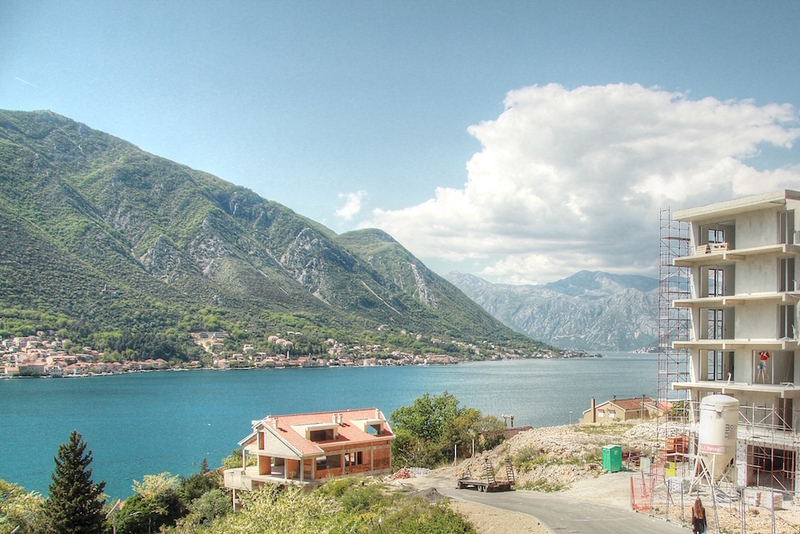 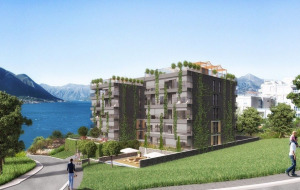 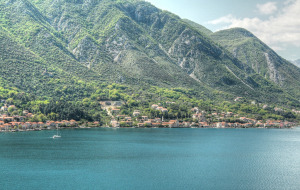 New residential development is located in Kotor Bay in the village of Dobrota. 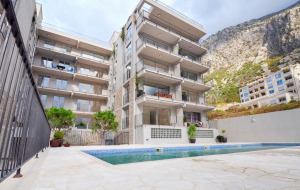 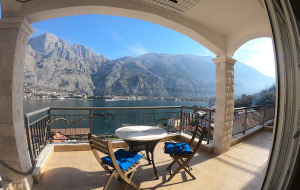 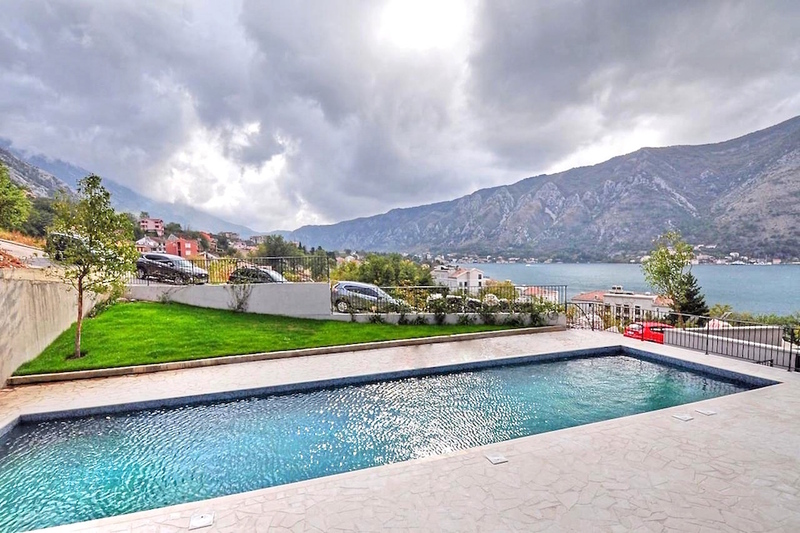 The complex is placed uphill and opens amazing panoramic view over the Bay of Kotor. 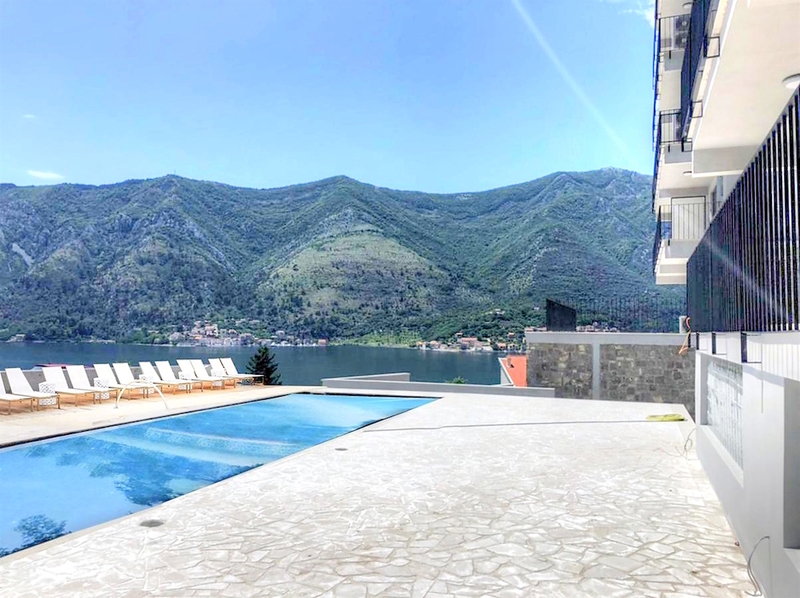 Kotor Bay – place of extraordinary beauty with breathtaking views of amazing sceneries, warm climate and rich historical heritage. 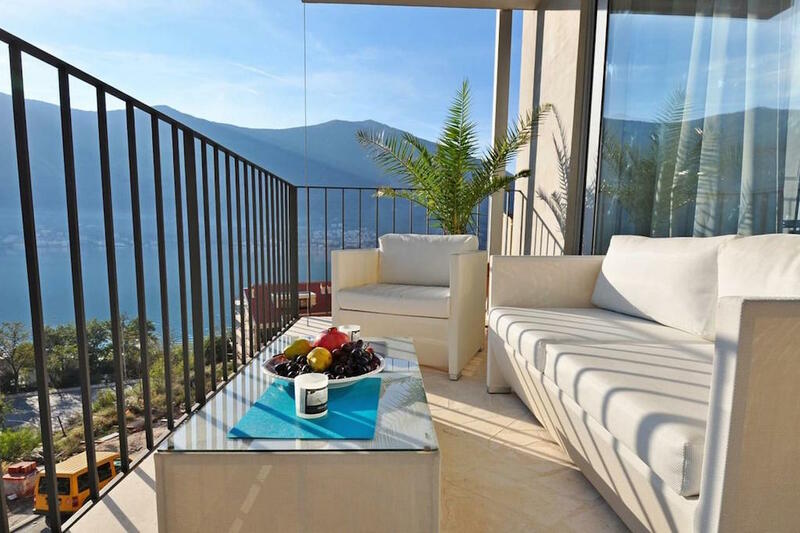 The distance to the sea is 230 meters. 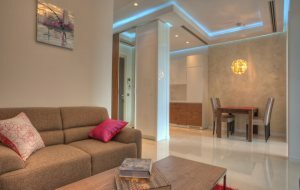 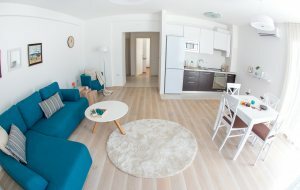 The property management company provides all necessary services in property operation, including apartment rental. 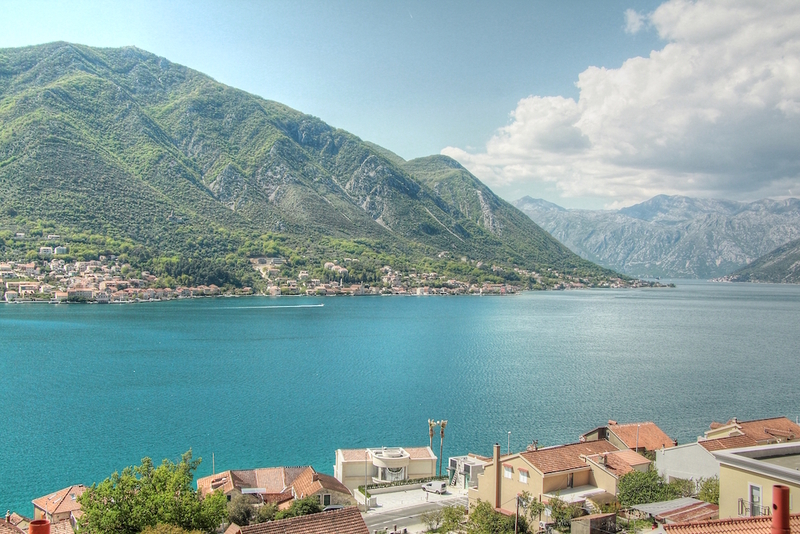 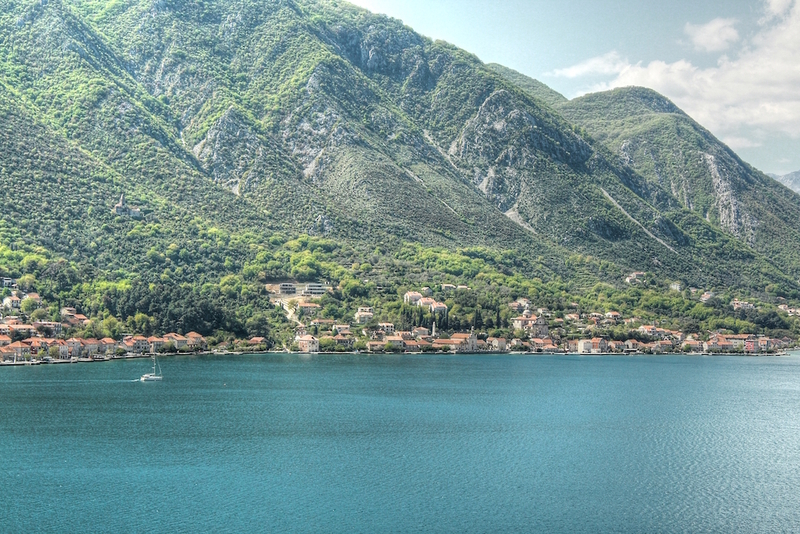 Dobrota is in close vicinity to the beautiful old town of Kotor, which is under protection of UNESCO. 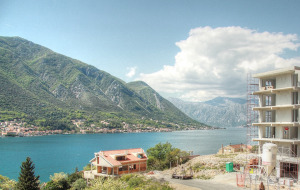 Dobrota is surrounded by olive and citrus trees.There is beautiful landscape promenade along the Bay with numerous restaurants and cafes with local cuisine leads you from Dobrota to the ancient town of Kotor.The entire infrastructure is in a walking distance here: shops, restaurants, pharmacy, policlinic.